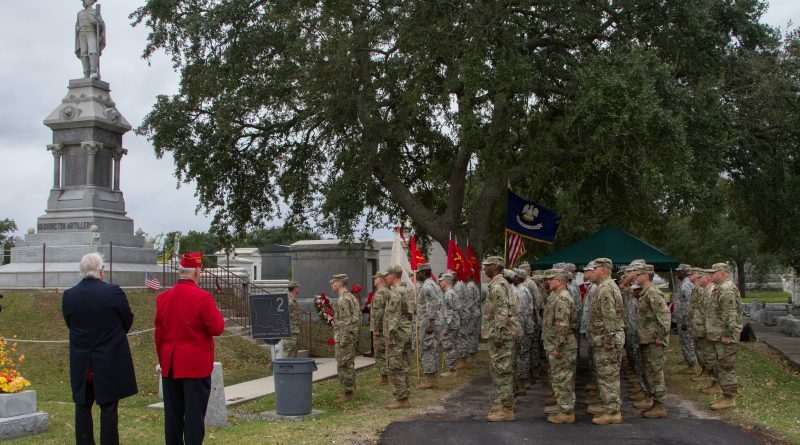 NEW ORLEANS – The Louisiana National Guard’s 1st Battalion, 141st Field Artillery Regiment, known as the Washington Artillery, held its annual memorial wreath-laying ceremony at Lake Lawn Metairie Cemetery, Dec. 3, and its 178th yearly pass-in-review ceremony at the battalion’s armory at Jackson Barracks, Dec. 4. 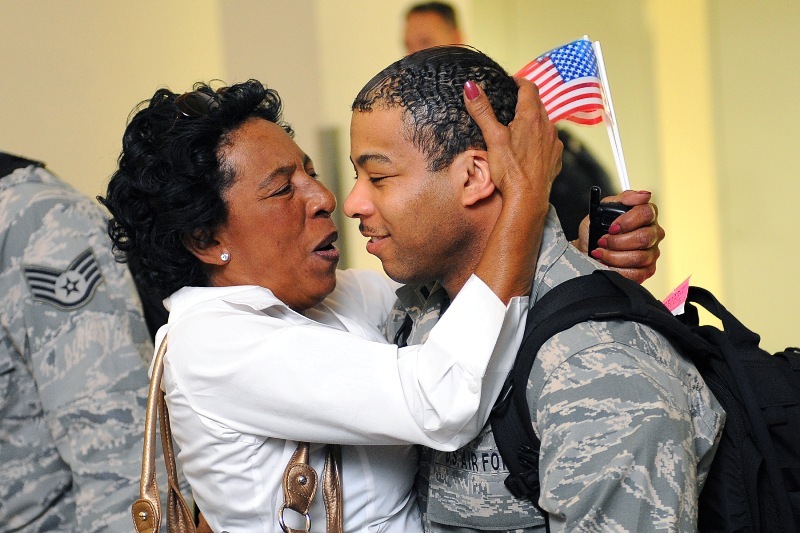 These two ceremonies reflect the long and decorated history of the 1-141st. The Washington Artillery Veterans Association (WAVA) has sponsored the wreath-laying ceremony since 1965 as a way to honor the unit’s fallen Soldiers and remember its heritage. 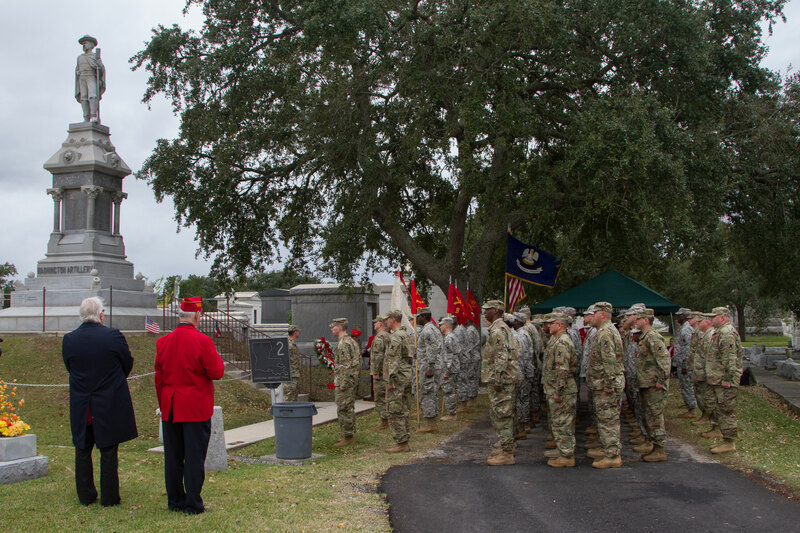 Commander of the 1-141st, Maj. Jarod Martin, addressed his battalion on the cemetery’s grounds and conveyed the significance of their presence in front of a memorial erected to the unit’s fallen. “There is no greater dedication to duty, there is no greater commitment than to lay down one’s life with this organization and for your country. This monument stands in recognition of that sacrifice and every year we will be here to honor that sacrifice,” said Martin. The following day, Guardsmen of the 1-141st participated in the battalion’s 178th pass-in-review ceremony. The long-standing custom displays the might of the assembled troops who march in formation for their leaders to view. 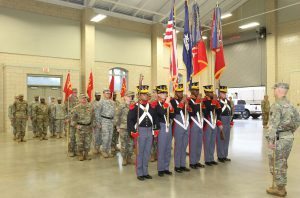 The LANG’s 156th Army Band ushered in the arrival of the official party which included Maj. Gen. Glenn H. Curtis, adjutant general of the LANG, and the unit’s command. During his speech, Curtis spoke highly of the 1-141st. “To the Soldiers that stand before me today, you do a magnificent job. You represent our state and nation extremely well. Your credibility in the state of Louisiana is unmatched,” Curtis told the battalion. During the ceremony, awards were given to the top performing Soldiers from the battalion. Spc. 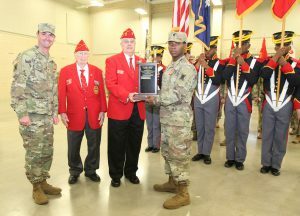 Duvuri Devall, of B Battery received the Col. Numa P. Avendano Memorial Award for being named the outstanding enlisted Soldier of the year. Sgt. 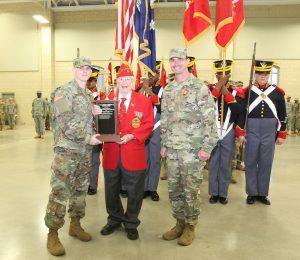 Rod Bourgeois of Headquarters Headquarters Battalion received the Lt. Col. Edward P. Benezach Sr. Memorial Award for being named the outstanding noncommissioned officer of the year. In his remarks, Martin said the unit’s size and weaponry have evolved over time to meet the ever-changing needs of the Army. 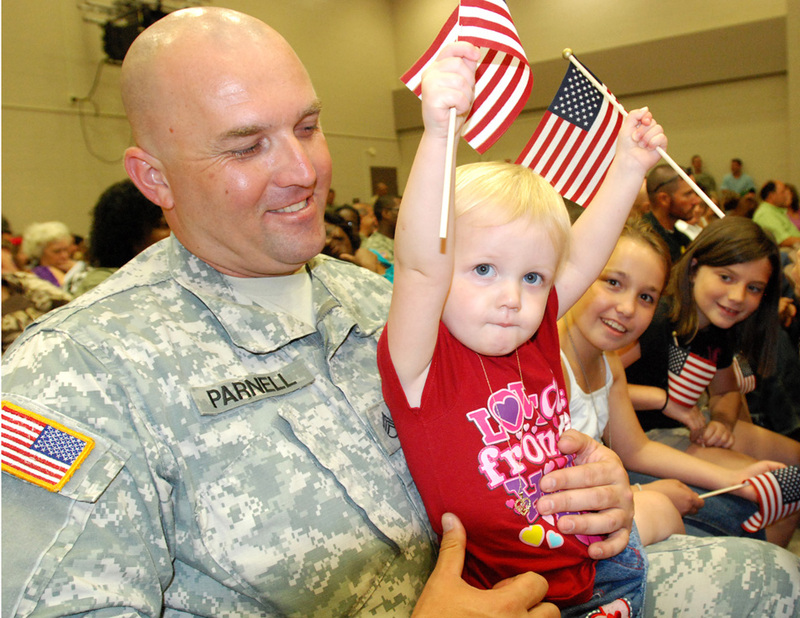 The unit transitioned from a battalion authorized 385 Soldiers to a battalion authorized 643 Soldiers. With the increased manpower come new capabilities that allows the battalion to deliver accurate and timely artillery fire to support their mission. The 1-141st, which falls under the 256th Infantry Brigade Combat Team, is the oldest unit in the LANG and the oldest field artillery battalion outside of the original 13 colonies. It has a storied history in the state from its involvement in emergency operations, such as Hurricanes Katrina and Rita, to its involvement in the Civil War and recent deployments to Iraq in support of Operations Iraqi Freedom and New Dawn.